The vast majority of teachers and others who work with children in schools are dedicated, caring professionals who would never harm their students. Unfortunately, sexual predators do work in schools, and the damage they inflict on children can last a lifetime. If you or your child has been sexually abused by a teacher, coach or other educator, The Orlow Firm can help. Our attorneys have decades of combined experience helping people who are victims of sexual abuse in Brooklyn schools. We serve clients in the New York City region, including Brooklyn, Brooklyn, Brooklyn and Manhattan. The kind of sexual abuse that makes headlines can seem like isolated incidents. Highly publicized cases may involve male or female teachers caught in sexual relationships with teenaged students. Or a teacher may be accused of molesting multiple elementary students. In two-thirds of the cases identified by the study, students said the sexual abuse included physical contact. Sexual abuse can have lifelong consequences. While some children recover from abuse with little to no ill effects, others experience severe short-term and long-term consequences. Children have the right to be free from sexual abuse in schools, and schools should be held accountable when they fail to protect children from predators. 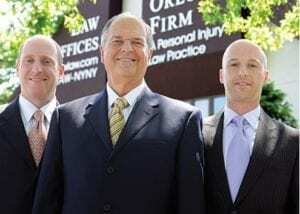 If you or your child has been sexually abused at school, contact The Orlow Firm. During a free initial consultation, our law firm will listen carefully to your difficult story, explain your legal options and help you hold schools responsible for the abuse.